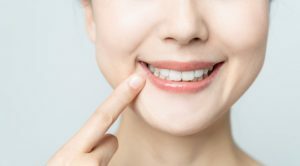 You know you need to replace a few of your missing teeth; however, you’re concerned that others will be able to notice the difference between your artificial teeth and your natural ones. Does this sound familiar? One of the great reasons to choose dental implants in Concord is because they are virtually undetectable and will go unnoticed by those around you. 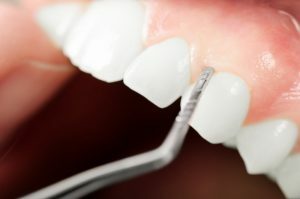 Find out more about these unique dental features and how you can keep your new teeth one of your best-kept secrets. Dental Implants in Concord, MA – An Excellent Investment! Tax season has rolled around again, and you’re expecting a refund. While you can think of several ways to utilize it, a pressing issue that needs to be addressed is the absence of your teeth. 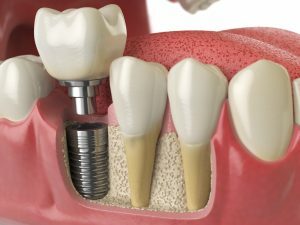 Since you have a great desire to regain the life you once had, it’s a good idea to consider dental implants in Concord, MA. Read on to learn about the process and how your refund can be used to boost your oral health! Comments Off on Dental Implants in Concord, MA – An Excellent Investment! Missing Teeth? Fix Your Smile In 2019 With Dental Implants In Concord MA! Despite our best efforts to save teeth, tooth loss is incredibly common. In fact, an estimated 120 million people in the U.S. have lost at least one! Unfortunately, even just one missing tooth has a negative impact on your overall oral health and self-confidence. Not to mention that it can lead to other problems that cost you more time and money to fix later on. Since the new year just began, it’s a perfect time to restore your smile with dental implants in Concord MA. By the time 2019 is over, you can have a full complement of teeth and fantastic oral health. Keep reading to learn more about the importance of replacing missing teeth and why implants are an ideal solution! Comments Off on Missing Teeth? Fix Your Smile In 2019 With Dental Implants In Concord MA! Have you lost all or most of your teeth due to gum disease, trauma, or other unfortunate circumstances? You may find it difficult to chew your food thoroughly, speak clearly, and smile with confidence. 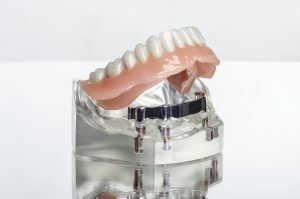 Traditional dentures offer a reliable and relatively affordable way to replace your teeth, but for many patients, a superior option is available: dental implants near Concord. 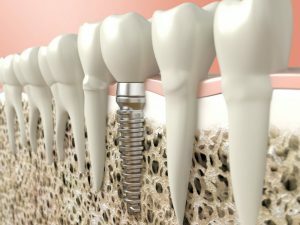 Let’s discuss the reasons why implants should be your first choice for treating extensive tooth loss. Heredity, Tooth Loss, and Why Dental Implants in Westford MA Are a Great Solution! Are you one of the estimated 178 million Americans who are missing at least one tooth? You may not know it, but genetics may be to blame! In addition to inheriting curly hair, brown eyes, or a quirky sense of humor, you may also have inherited a predisposition to tooth loss. But although your genetics are clearly beyond your control, that doesn’t mean you don’t have great replacement options. Keep reading to learn more and find out why dental implants in Westford MA are such a great solution! Comments Off on Heredity, Tooth Loss, and Why Dental Implants in Westford MA Are a Great Solution! Did you know that around 80% of Americans are affected by some form of periodontal (gum) disease at some point in their life? There are a lot of factors that can cause gum disease, but the leading cause is improper oral healthcare. Some patients talk about their family members having issues with their gums as well. 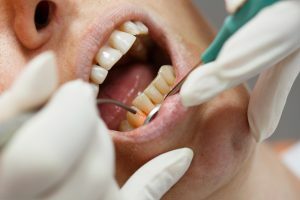 Does this mean gum disease is hereditary? Keep reading to learn the answer from your highly-trained periodontist in Concord, MA. If you’re missing any teeth, you know how it can feel to have an incomplete smile. Besides their appearance, missing teeth can lower self-esteem and cause a lack of confidence. Dental implants have become one of the most popular replacement options because they look and feel just like natural teeth. 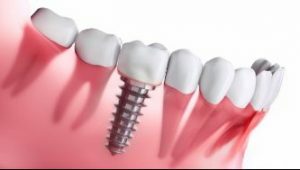 Besides improving your oral health, did you know dental implants in Concord can boost your confidence too? Read on to learn how from an expert periodontist. General dentists are most ideal for those pursuing preventive treatments, basic restorations and many other forms of dental care. However, that doesn’t mean they’re capable of performing every treatment in dentistry out there with full confidence. For example, dental implants are a specialized treatment that not all dentists can perform properly. In the hands of someone inexperienced, you put your chances of the most successful implantation at risk. For this reason, you’ll want to see a periodontist before getting dental implants in Westford. How Does Periodontal Disease Affect My Smile’s Appearance? Periodontal (gum) disease is one of the most common oral health conditions, and it leads to a number of dental health concerns. What many patients don’t realize is how untreated gum disease can dramatically change the appearance of your smile. 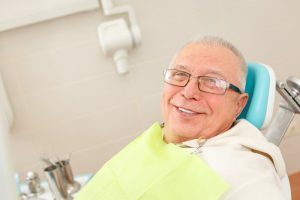 In this post, we’ll review some of the many ways that gum disease can change your smile unless it’s treated properly by a skilled dentist or periodontist. Comments Off on How Does Periodontal Disease Affect My Smile’s Appearance? Patients may need periodontal surgery to repair damage caused by gum disease, to graft soft tissue, or to reshape their gum line by removing excess tissue. There are a number of different methods used to perform these soft tissue surgeries, but in recent years, many dentists have started to offer conservative treatment using soft tissue lasers. Before beginning your gum surgery, read this post to learn more about your surgical treatment options. 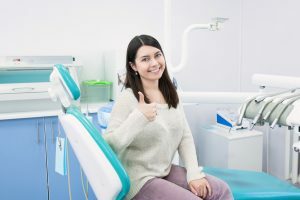 When you visit a periodontist for your gum treatments, you will likely have more options, so you should consider scheduling a consultation with a local periodontal specialist.